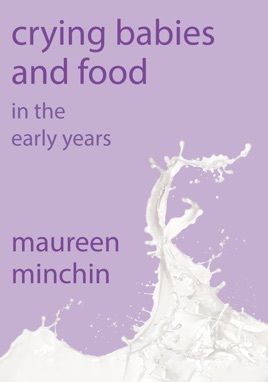 This second e-book, Crying babies and food in the early years, was the third part of a larger (840 pages) hardback, Milk Matters: infant feeding and Immune disorder, which is available as a hardback reference text from major retailers. This e-book is intended as a practical guide to dealing with the problems of early food sensitivity in breastfed infants. It begins with a questionnaire designed to help parents identify family food sensitivities, to understand where these have come from, and to recognise their effects in the family. It sets out a sensible pathway to follow to see if infant sensitivity problems can be resolved by the mother while still fully breastfeeding. It also covers most of the issues relating to food in the first year or so of life, including why, when, what, and how to feed babies, both breastfed and formula-fed. The initial focus is on breastfeeding and maternal diet issues, although there is also much useful information about infant formula and its use. A more detailed guide to care-full bottle feeding (the process) will become available on my website to complement this. Crying babies and food does not go into detailed explanations of why and how so many complex feeding problems have arisen in affluent societies. Once you have sorted out your immediate problems, you are likely to want to understand more about why this has happened to you, and what explains the symptoms you or your baby experience. You may want to know more about infant formula in detail, if you are thinking of using, or being advised to use, this commonplace but damaging western product. For this and much more, you need the companion volume to this book, called Infant formula and modern epidemics: the milk hypothesis. That companion e-book outlines my milk hypothesis and its basis in science and history, including the past, present, and future realities of infant formula, and its documented risks and inevitable harms. 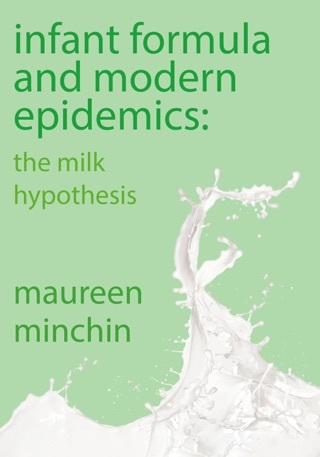 The Milk hypothesis characterises modern epidemics of inflammatory diseases as the result of interacting factors, the most important (and most often ignored) being early infant feeding during the period when bodies are being constructed. In this stage, lifelong growth and development is being programmed by nutrition. Infant formula and modern epidemics surveys the huge body of evidence indicating that both the absence of breastfeeding, and the presence of ersatz substitutes, are damaging, and that the damage has compounded through generations. Since the egg that will become each of us begins in our grandmother’s womb, from genetic material passed down both paternal and maternal lines, our past has shaped us long before our parents hold us in their arms. Our present may help determine how those genes are expressed, but whatever a mother’s infant feeding decisions or actions, no mother is solely responsible either for the decision, made in a cultural context she did not create, or for its outcomes. Readers of this book will discover that anger is a more appropriate emotion than guilt. Maureen is also the author of Food For Thought: A Parent’s Guide to Food Intolerance and Breastfeeding Matters: what we need to know about infant feeding, as well as journal articles and background briefing papers for the WHO and USAID. Having three children in the 1970s, she experienced hospital practices that made breastfeeding difficult and allergy inevitable, with life-changing consequences for her children. She has since spent a lifetime providing advice and support to allergic families, while also working to improve health professionals’ education and training. ‘With her usual intelligent passion, Maureen provides compelling evidence for the necessity of feeding species-specific milk. What will it take for clinicians who are charged with the health of our most vulnerable citizens – our babies – to finally improve their management of infant nutrition? This book should be an essential text for all health professionals and required reading for all medical and midwifery students.